Twitter CEO Jack Dorsey testifies before the Senate Intelligence Committee hearing on 'Foreign Influence Operations and Their Use of Social Media Platforms' on Capitol Hill, Wednesday, Sept. 5, 2018, in Washington. "The persistence of so many easily identified abusive accounts is difficult to square with any effective crackdown," write authors Matthew Hindman of George Washington University and Vlad Barash of the social media analysis company Graphika. Disinformation networks continue pumping out false posts at an incredible rate: in a typical day they publish more than a million tweets, the authors found. These disinformation campaigns are largely automated. In the ecosystem of Twitter accounts pumping out false information and linking to conspiracy websites, "the true proportion of automated accounts may have exceeded 70 percent," the authors write. In July, Twitter announced that it was purging suspicious accounts as part of their "ongoing and global effort to build trust and encourage healthy conversation on Twitter." 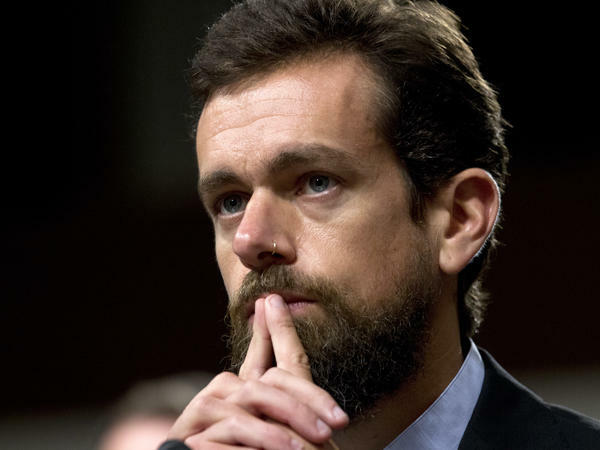 And in testimony before the Senate intelligence committee last month, Twitter CEO Jack Dorsey highlighted Twitter's efforts to police their platform for automated accounts. "We are now removing 214 percent more accounts year-over-year for violating our platform manipulation policies," he said. "As of today, we have suspended a total of 3,843 accounts we believe are linked to the [Russian misinformation troll farm]" Internet Research Agency. The Knight Foundation's report questions how much these efforts have stemmed the flow of false information. Much of the misinformation campaigns identified by the report's authors come from amplifying falsehoods that others are posting. It also has changed qualitatively. The disinformation network has become more pro-Republican since President Donald Trump's election, the researchers found. These campaigns also extend well beyond the scope of the IRA, a Russian troll farm in Saint Petersburg that was indicted by Justice Department special counsel Robert Mueller. False information also is being generated by sources of unknown origin — although in many cases promote Russian narratives. While the networks are broad, much of the fake information spread on Twitter remains concentrated in tweets that point to just a handful of conspiracy-minded websites. Sixty-five percent of fake and conspiracy news linked on Twitter in the month before the 2016 election went to the ten largest fraudulent news websites, according to the report. This suggests a level of coordination: normal, true news on Twitter follows a pattern: ramping up when a news story breaks, peaking after an hour or two, and then declining gradually through an orderly drop in interest. But groups of disinformation accounts appear to coordinate in an effort to draw out the relevance of certain news stories: "Segments ... associated with Russian propaganda are key participants in these campaigns, and many of these efforts align strongly with Russian goals and interests," the authors write. The report's authors started with 6.6 million tweets linking to fake and conspiracy news publishers in the month before the 2016 presidential election. When they checked again in a 30-day period from mid-March to mid-April 2017, they found that disinformation remained a major problem, with 4 million tweets linking to these fake and conspiracy news publishers.